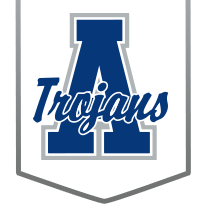 Students interested in taking college classes during the school day at AHS (concurrent enrollment) or off campus during the night or summer (dual credit) MUST meet with their counselor first to discuss the process and obtain the appropriate paperwork. 1. Are classified as a sophomore, junior, or senior by the standards where the student attends high school. 2. Have a High School/Home School Release Form signed by the high school PRINCIPAL certifying the student is at least a sophomore. This form should be turned in to the Registrar’s Office before enrollment takes place. Butler requires only one permission form per academic year, but individual high schools may require one each semester. 3. Meet placement score requirements (ACT, SAT or ASSET). Scores must be certified on the High School/Home School Release Form prior to submission to the Registrar’s Office. Click here for instructions on how to take the accuplacer. 4. Are classified as a gifted student in his/her freshman level of high school. A copy of the Individual Education Program (IEP) and a High School/Home School Release Form signed by the high school PRINCIPAL certifying giftedness, must be turned into the Registrar’s Office before enrollment takes place. Note: High school students who are below the sophomore level or who do not have IEPs can only enroll in college courses for audit (noncredit). Student must meet placement score requirements. Interested in taking classes at Butler Community College for dual credit? The link below contains the information you need to know. Butler offers three different early college academies that gives students a chance to get a jump-start on their college degree. Students have the opportunity to earn their associates as well by the time they graduate high school. The programs are 2 years long and students spend half of the day at Andover Central and half the day at Butler. Students may enter the academies their junior or senior year (junior year preferred). See your counselor if you are interested as there is an application process. Last year the legislature passed and Governor Brownback signed into law Senate Bill 155. Simply stated, SB155 allows juniors and seniors in high school to take Career Technical Education classes tuition free at area community and public technical colleges. For our students that means juniors and seniors can attend either Butler County College or the Wichita Area Technical College and get a head start on various programs at very little cost to them (mainly books and fees). Though general education classes (i.e. English, math, social sciences, and science) are not included in this law, the list of possible courses is very extensive. Students can take many computer classes, a variety of business classes, courses to become a Certified Nurse Aide, automotive classes, machine and sheet metal working, welding, even culinary arts classes – all tuition FREE. The object of this law is to give student the opportunity to get a head start on some high skilled areas to study. Completing some of these courses will allow students to get good paying jobs even if they continue their education – i.e. being a CNA while attending nursing school or being certified in fixing computers and working with the “Geek Squad” while completing your degree. These types of opportunities are a step up from minimum wage retail positions many students work to help make ends meet. Students will need to take and pass any admission tests required by the college. Students should also remember these are college courses – if a student cannot handle the rigors and maturity level needed to be successful in a college course the student should wait until they are ready.